Protect your account with a six-digit passcode. What was once in beta is now available to everyone. 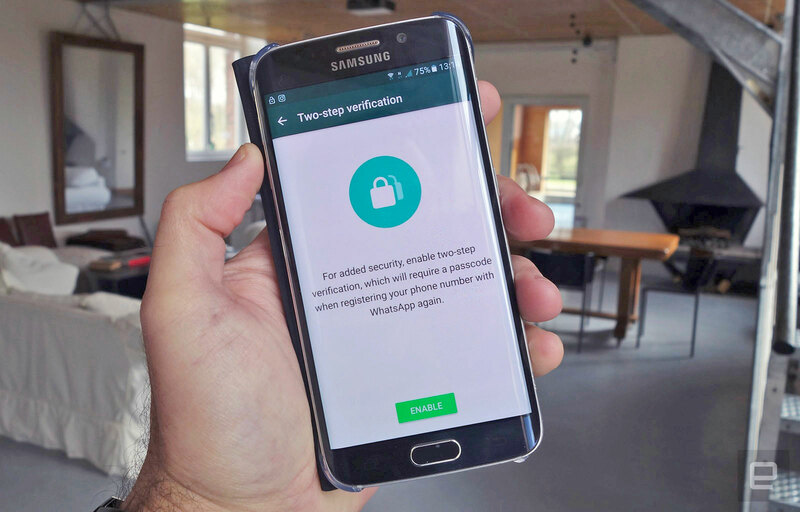 WhatsApp is rolling out two-step verification, an additional layer of security, to all of its users on iOS, Android and Windows. It's an optional feature which you can set up by heading to Settings, followed by Account and Two-step Verification inside the app. You'll need to create a six-digit passcode, which will then be required every time you try to register your phone number with WhatsApp (for instance, when setting up your account on a new smartphone). You can also designate an email address which, in an emergency, can be sent a link to disable the feature. WhatsApp highly recommends this as a fallback, just in case you forget the code. It's a different approach to most technology services, which typically send a randomized string to your phone over SMS. To help you remember, WhatsApp says it will ask for your code "periodically." An inconvenience, sure, but a trade-off we would argue is worthwhile for greater security. If the app is your primary mode of communications, you owe it to yourself to turn this feature on.